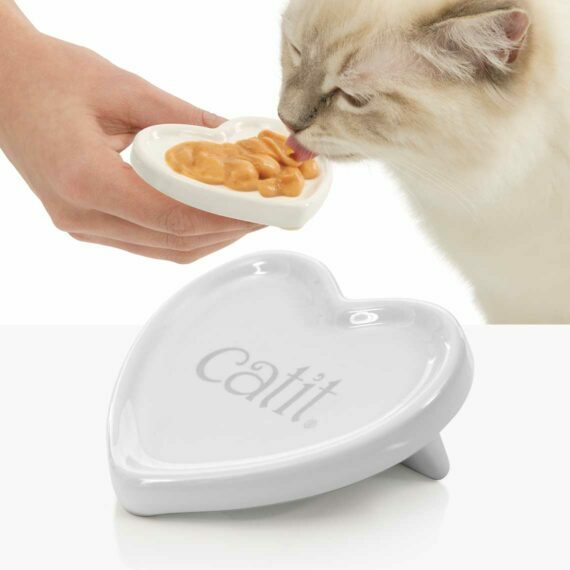 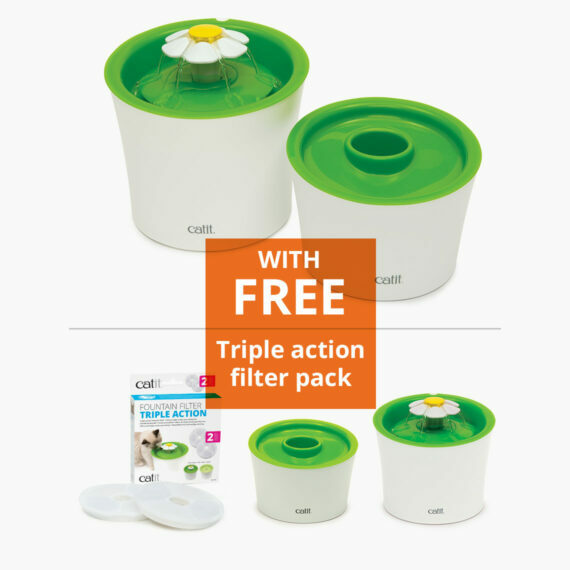 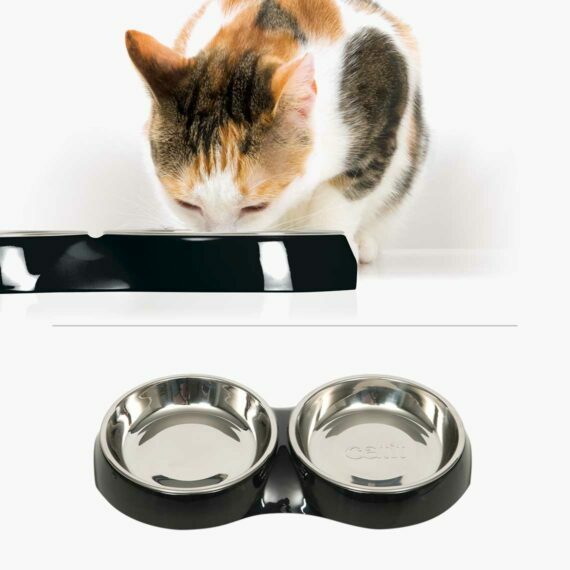 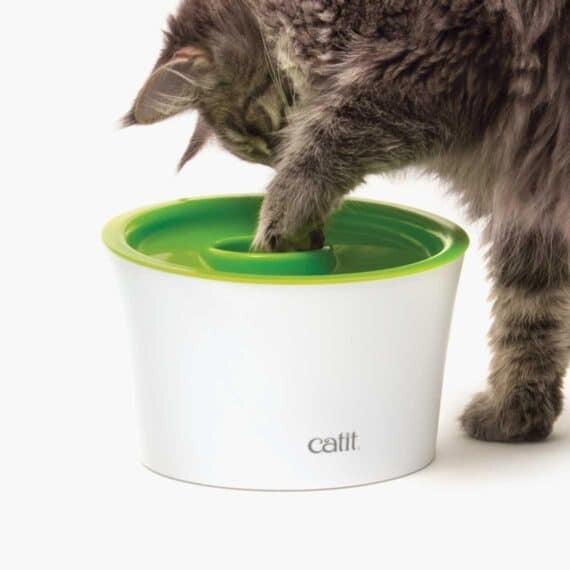 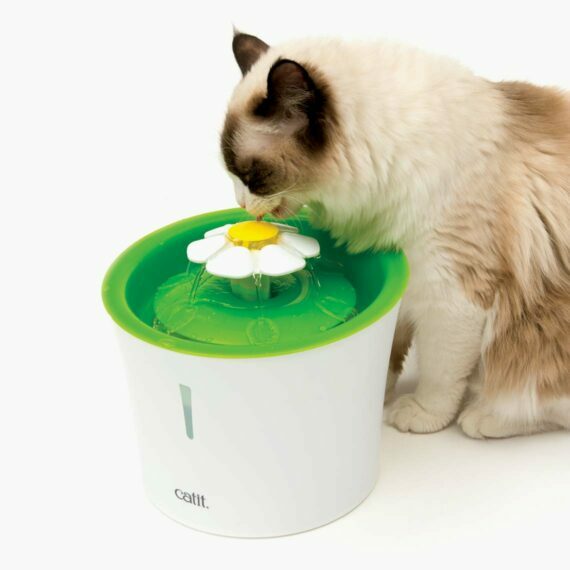 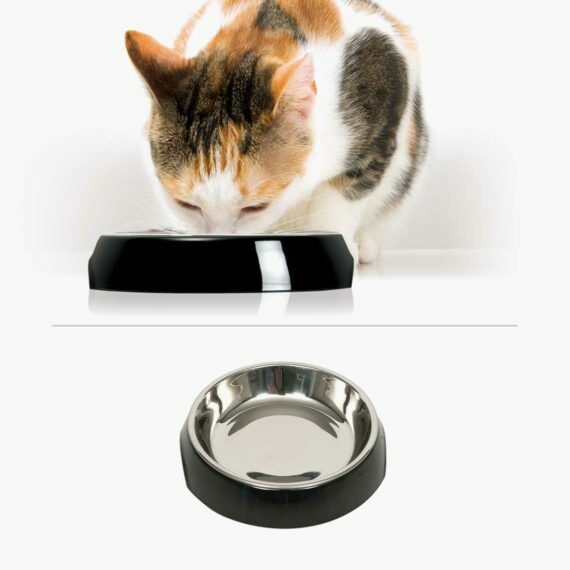 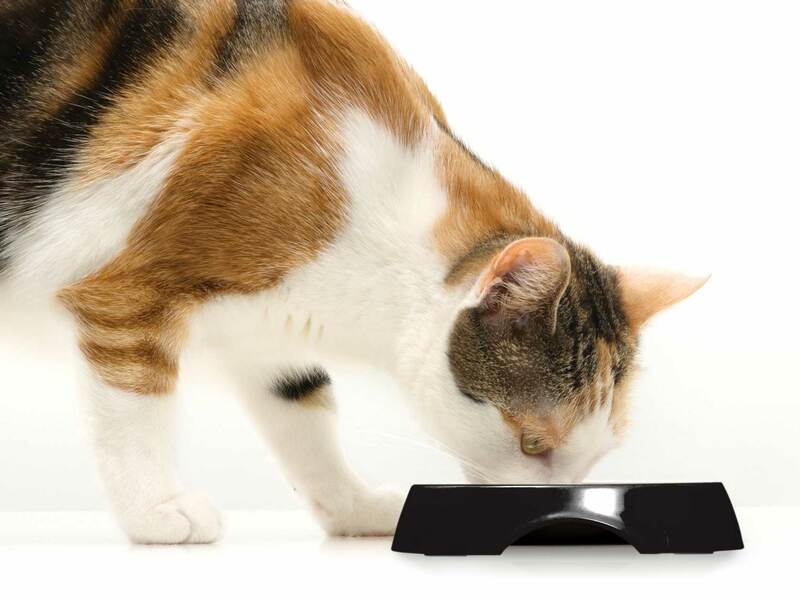 The Catit Feeding Dish Double is a dual-purpose feeding station for wet and dry food. 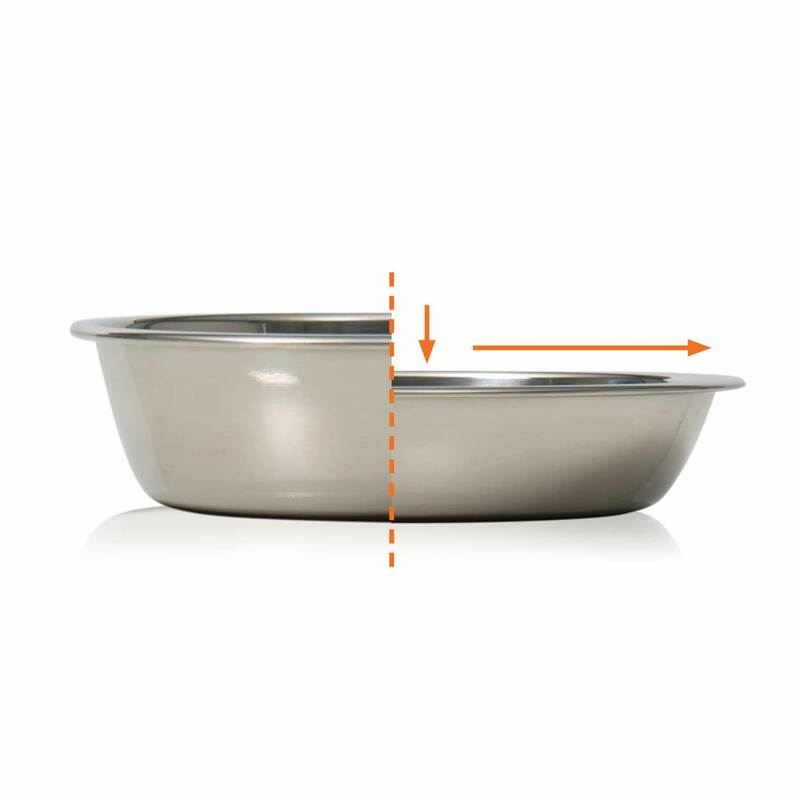 The stainless steel dishes can be removed from their holder for easy cleaning. 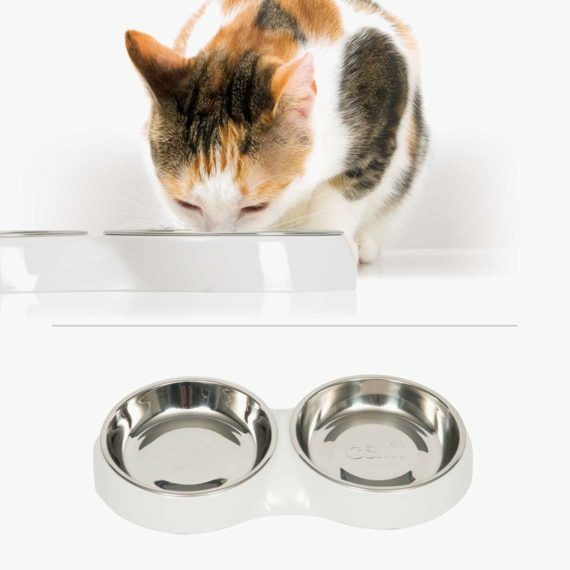 They are dishwasher safe.